Please note that your standard network rates apply and that calls may be recorded. WE’VE PARTNERED UP WITH LOCAL BUSINESSES TO REWARD OUR REGULAR CUSTOMERS WITH SOME GREAT MONEY SAVING OFFERS! Amber has grown progressively over the years and now includes a wide range of vehicles so you can call on us whatever the occasion. Whatever your journey, whether short or long the saloon is the popular option for up to 4 passengers and, should you require an airport transfer up to 4 passengers and 2 suitcases. For extra luggage carrying loads, the estate car is the option for up to 4 passengers and, should you require an airport transfer up to 4 passengers and 3 suitcases. For up to 6 passengers the 6 seater is the option for you and, should you require an airport transfer up to 6 passengers (depending on luggage) can be accommodated in relative comfort. For up to 7/8 passengers the Transporter is the option for you and, should you require an airport transfer up to 7/8 passengers (depending on luggage) can be accommodated in relative comfort. With our extensive range of vehicles we can now cater for 9 -16 passengers. Amber has available luxurious coaches that are available for larger parties for that special night out, wedding, airport transfers or any occasion that suits. Please note some vehicles may require pre-booking and deposit. 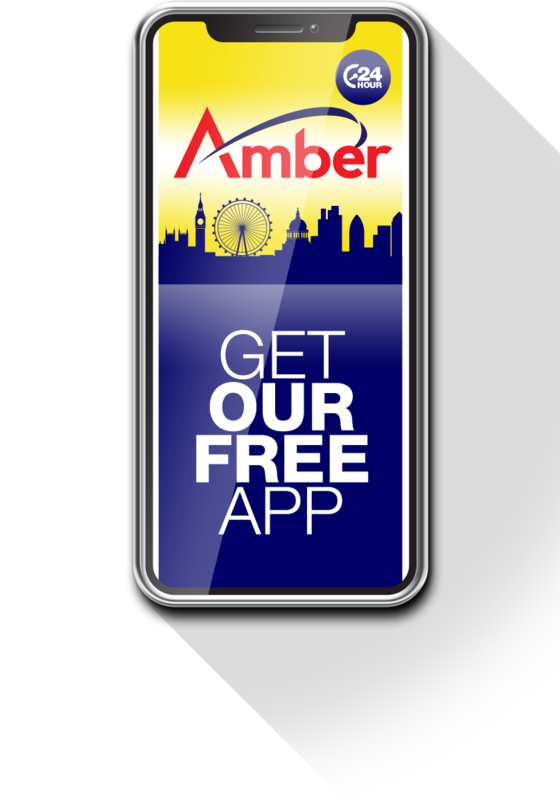 Amber Pre Pay Loyalty Card, This service works in the same way as an Oyster Card, no cash needed, just pre-load the card with credit & it’s ready to go. WE’RE ON THE LOOK OUT FOR MOTIVATED PEOPLE.